You may know that February at Arc-Zone.com is all about connections and hook-ups in celebration of Valentine’s Day. 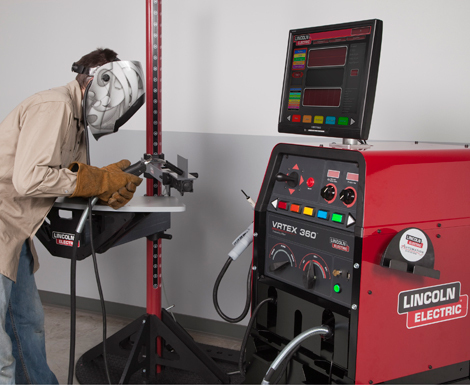 So this week’s post is all about hooking up your TIG welding torch to your welding machine. Summit Racing, CAL Electric, Firepower, Eastwood, Longevity, Stark, Buffalo Tools…. 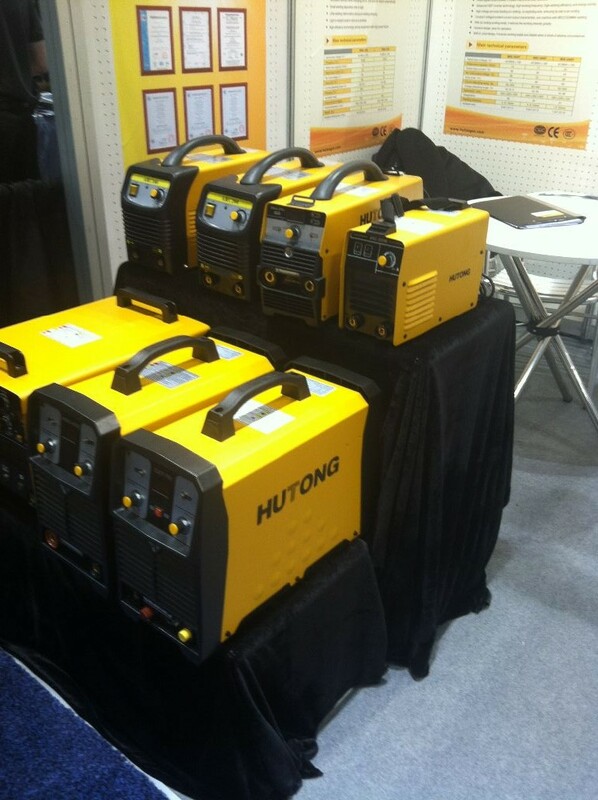 What do these brands (and many more) have in common with Miller Electric, Lincoln Electric, and ESAB? 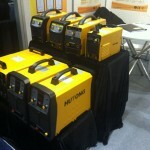 They all offer welding machines! 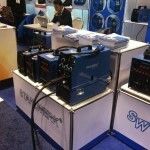 I mentioned this phenomenon in my Report from FABTECH: everyone seems to be selling their own brand of welding machines. Of course there are tons of options to buy used machines as well. 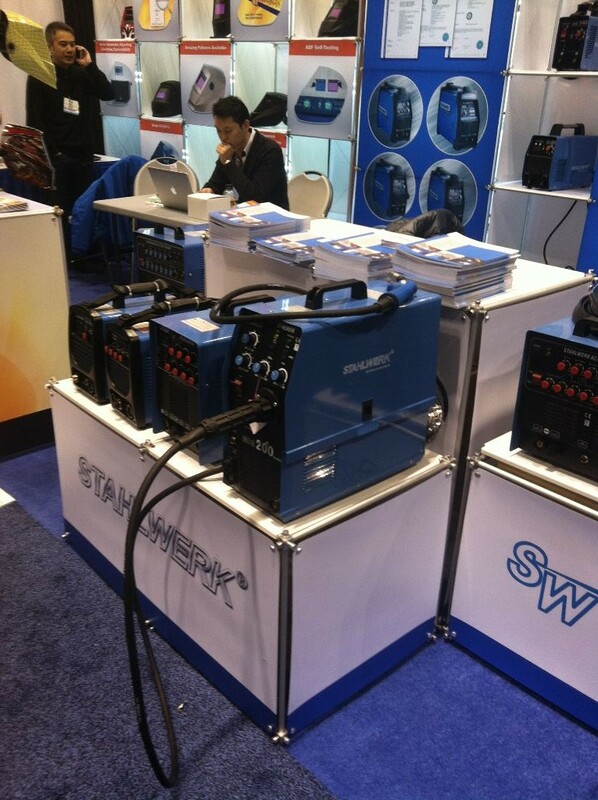 And it can get confusing when you’re ready to hook up your brand new Weldcraft TIG welding torch or CK Worldwide TIG torch… what connectors will you need? 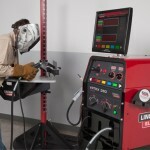 Older power supplies utilize a threaded stud terminal to bolt the TIG welding torch onto the machine while newer welding machines utilize a Dinse connector which is a twist-locking quick disconnect system. Dinse connectors come in two sizes: a small with a 3/8″ (9.5mm) diameter pin size, and large Dinse connector with a pin size of 1/2″ (12.7mm) in diameter. Some machines allow for a Gas Through Dinse connection that allows your torch’s shield gas supply to flow through the Dinse connector—no need for an additional gas connection. The gas flows from your tank and flowmeter/regulator through the machine to the connector and into the torch. Some power supplies use a Tweco type (also called American style) split pin connector that also twists and locks into place. Different TIG torches have different TIG torch adapter connections at the machine end. A water cooled TIG torch like the 300 Amp CK230 has a 7/8” x 14 left-hand threaded male fitting on the end of the power/water return line. Generally an air-cooled TIG torch rated 200 amps or above has a 7/8” x 14 right-hand threaded male fitting and an air-cooled torch rated 150 amps or below has a 3/8” x 24 right-hand threaded male fitting on the end. Some specialty torches like the CK TrimLine series use a “B” size 5/8” x 18 right-hand thread. While these fittings may look like parts you can buy at your local hardware store, they are unique to the welding industry and available through welding suppliers only. If you upgrade your machine to accept a Dinse style connector it’ll be easier to switch from one torch to another, you’ll standardize your connections to allow for different applications at different times or accommodate different shifts. 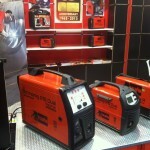 Even a small fab shop will want to be able to use different torches on the same welding machine. With the Dinse connectors you don’t need tools to change your torch, and all your torches will connect the same way. Also, the connection is insulated with a rubber or plastic boot. If your welding machine has a threaded stud connector, you can buy a stud-to-Dinse female converter. The Tweco style connection can also be upgraded to utilize a Dinse style plug with an adapter that mounts onto the machine as well. Standard gas and water hoses require a wrench to tighten the mechanical connection. If you’re in the field or in the shop and need to change torches frequently, this can be a pain in the neck. 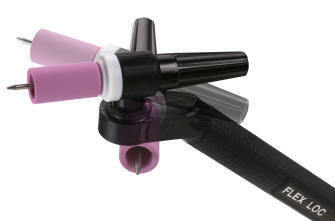 Quick-release hose couplers for your TIG torch allow you to change torches without tools. These quick-release couplers thread onto the male fitting at the end of your gas and water hoses then mate to a corresponding female adapter mounted on your water cooler or gas connection. They connect by twisting and locking into place. For welding in the field, choose the heavy-duty gas hose couplers for just a couple dollars more. We’ve also seen some new connectors on the market and I’ll be posting an article about those soon. If you’re not sure what type of adapter you need, give Arc-Zone.com a call toll free, 800-944-2243 (US) or 1-760-931-1500 (worldwide). 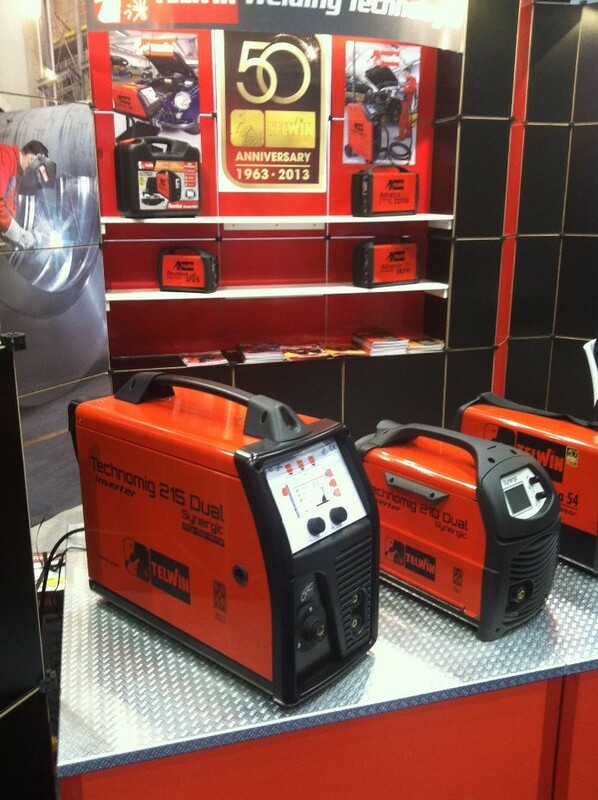 We have welding experts on staff that can hook you up! Super informative post. My brain is still swirling with all those connections. Thanks!!! Hi Kevin, thanks for reaching out. Unfortunately the answer is ‘no.’ All of the Quick-Connects are designed to adapt the power cables to the machine. The real problem with doing a quick-connect at the torch body would be getting the fittings to fit under the handle. We have done quite a few custom set-ups here, and even the smallest quick-connect fittings would require a larger handle. I have a Miller Diversion 180 with a “hard connected” 17 air cooled torch. Is there a way to adapt a 20 water cooled torch to it? 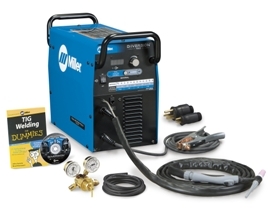 You can use our Miller Diversion upgrade kit to convert your machine to use a water-cooled torch. Thanks for checking out our article. 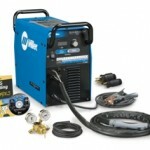 If you have an air-cooled TIG torch with a “One-Piece” or “mono” power cable (welding current and gas travels through the same hose) then the answer is no. You will need to replace the cable assembly. If it is a Two-Piece cable–a covered power cable and separate gas hose with nut–you can replace just the gas hose. If you have a water-cooled TIG torch which has three hoses: 1, Power water-Return, 2, Cool water In and 3, Gas hose — then you can replace just the gas hose.